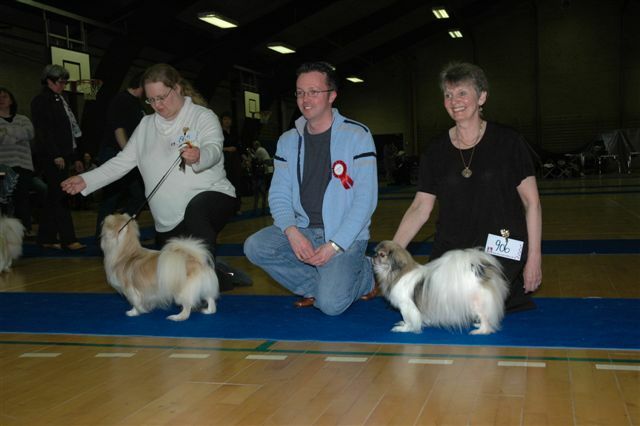 On the week-end of April 1st/2nd 2006, I was invited to judge at the first CAC show held by the DKK, Kreds 5 club in Hendensted, Denmark. The atmosphere was very enjoyable and the organisation perfect, hard to believe it was the first time the committee had organised such an event! The only problem was that my luggage missed the connection in Copenhagen, so apologies to the exhibitors for my clothes on the first day! The Tibetan Spaniels judging felt almost like a Breed club show as the entry was excellent for Denmark (54) and all the exhibitors proceeded to have lunch together after the judging. Very nice atmosphere!